Are you buying a property or selling a property? What is the sale/purchase price of that property? 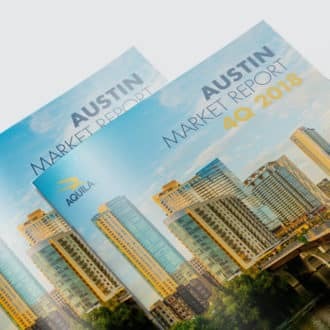 At AQUILA we have done hundreds of investment sales deals, so we have an excellent understanding of what market rates and fees are charged by brokerage firms in the Austin metro area, and can help you answer these questions. In this article we will help explain how much you can expect to pay a professional broker to help you purchase or sell a commercial property. Looking for typical brokerage fees for lease transactions? Check out our articles explaining tenant representation rates and landlord broker commission rates. Generally, there are no upfront fees to hire a broker to sell your property. The exception to this could be any special marketing initiatives such as custom branding, brochures or signage. These expenses are generally negotiated before your broker is hired and outlined in a listing agreement – the contract between you and your broker. Once you have selected an individual broker or brokerage firm to work with, you will negotiate the brokerage fees (also known as commissions) that will be paid when the broker successfully sells your property. This fee is paid by the person, company or entity selling the property. These fees will be negotiated prior to hiring a broker and detailed in the listing agreement. Brokerage fees for the sale of properties vary based on the market where you’re selling property. In Austin, the typical fee is 6% of the final sale price, but this varies based on the size of the transaction and the type of property you’re selling. New to Commercial real estate investment? Download our Commercial Real Estate 101 Guide to learn the basics of CRE Investing including advantages, risks, lingo and more. As you can see, as the price of the sale goes up, the percentage owed by the property owner goes down. Fees are typically dependent on the quality of the property and, directly related, the difficulty involved in selling it. Generally, well located, high quality improved properties will have fees at the lower end of this spectrum. If the property is lower quality and not as functional, fees will be at the higher end of this spectrum. Fees are also affected by demand in the market. For example, if there is high demand for a certain property type, and there are only a few quality sites, a broker’s commission will likely be lower because it will be an easy site to sell. If there is an oversupply of sites and not much demand, a property will be harder to sell and; therefore, a broker may require a higher fee. Is there a Buyer’s Broker? Lastly, this fee can also vary depending if there is a buyer’s broker involved. The above ranges reflect typical fees when a buyer’s broker is involved. If there is not buyer broker involved, these fees will typically be even lower than the values given above because there would be no commission to split. 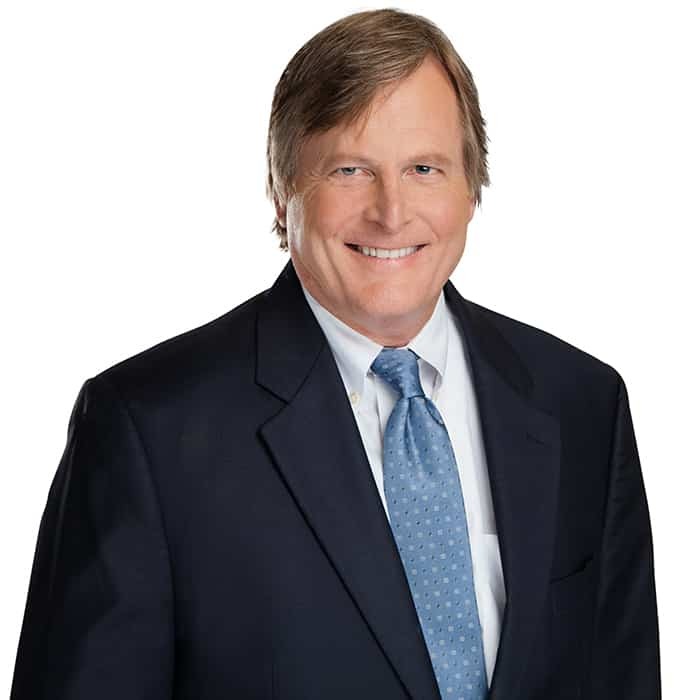 In Austin, for most institutional-grade transactions such as large office parks, trophy buildings or shopping centers, many times the selling broker or brokerage firm will stipulate that brokerage fees will not be paid to the buyer’s broker. This is typically done because large brokerage houses have substantial databases of the most qualified buyers and would prefer to deal directly with the buyer. If the buyer desires representation in these situations then the they would pay the buyer’s broker directly. 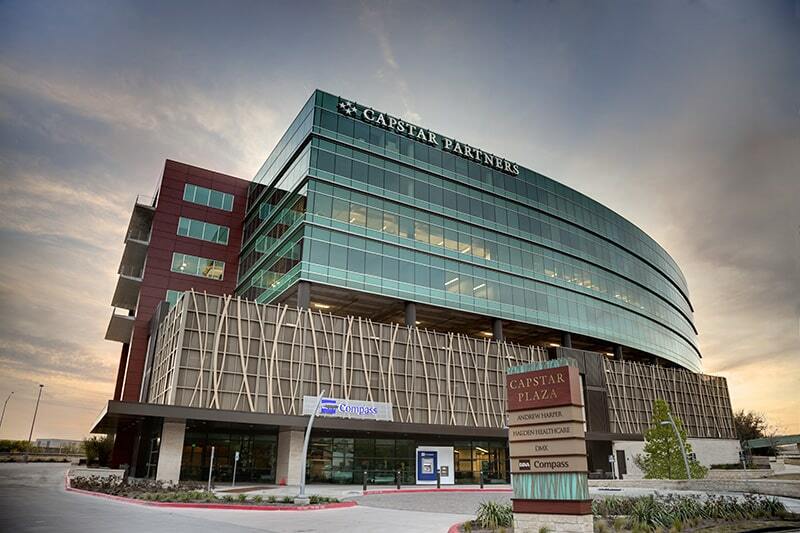 Capstar Plaza is an example of an institutional-grade, well located, improved property. 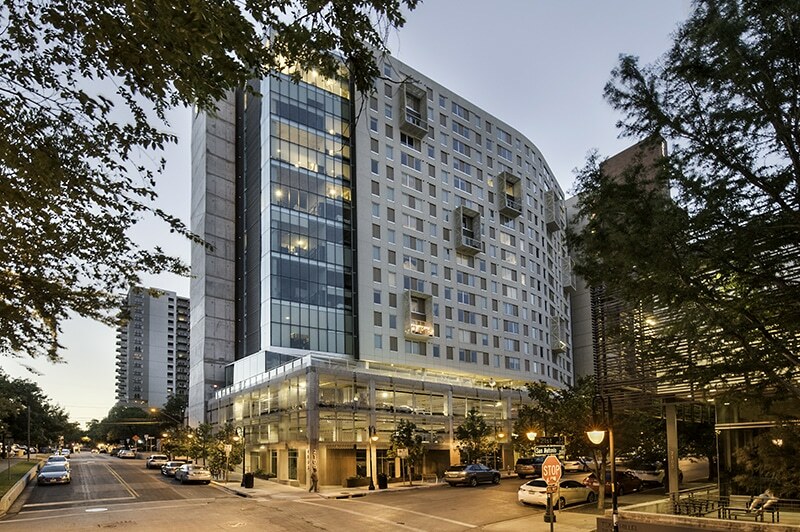 Read a case study about how AQUILA’s investment sales brokers successfully sold Capstar Plaza, an office building in downtown Austin. In smaller transactions ($1-3 million), the broker representing the owner will generally split their fee, paid by the landlord, with the buyer broker should one exist. This incentivizes brokers representing buyers to bring offers to the table. Again, this can be negotiated ahead of time with your broker and stipulated in the listing agreement. An exception to this would be if you are selling well located land which is fully entitled. In that case, the commission spectrum above would be on the low end, because the land will be easier to sell. Read a case study about how AQUILA successfully sold land for Lutheran Campus Ministries. In selling land it’s more common to have a broker also representing the buyer, and, generally, the selling and buying broker will split the commission. However, as with entitled land, if a buyer is being represented by a broker the fees are typically higher. The above fees hit the lower end of the spectrum when there isn’t a broker representing the buyer. Also remember that while the rates above are standard, in investment sales more so than leasing, these fees can be negotiated. Talk about this with your broker prior to both parties signing a listing agreement. Are there other costs a seller should account for when selling a property, outside of brokerage fees? Title insurance is standard, and in Austin, the seller pays for it. Austin Title has a handy title insurance rate calculator that can help you determine what you might pay for this. Additionally, selling a property often comes with closing costs and title fees. These may include document preparation, escrow fees and recording fees. These are typically not a large expense to a transaction and cost only a few hundred dollars. In some cases, these costs could be shared with the buyer. Most of the time an attorney will be needed to draft contracts, such as listing agreements, commission agreements and/or sale agreements. You should always budget for legal services in your cost to sell a property. This fee varies based on the lawyer you hire and the complexity of the transaction, and is usually billed hourly. When does a selling owner pay commissions? Brokerage fees are paid at closing. Once the transaction is closed the title company will wire or send the commission directly to broker as part of the closing of the transaction. Generally, like in tenant representation, there is no out of pocket cost to the buyer to hire a broker to represent them in the purchase of land or property. That said, in some areas of the country it’s not unusual to have a broker representing a buyer be paid directly by the buyer rather than the seller, meaning the buyer would have to come out of pocket to use a broker. Theoretically, all commissions, whether payable to buyer or seller broker are part of the cost of the transaction. Whether the buyer pays a higher price and the seller pays all commissions or the buyer pays a slightly lower price and pays the buyer broker directly, the net proceeds to the seller remain the same. 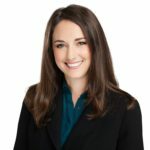 Nonetheless, (because of historical precedents and customs) there has been a resistance in Austin for buyers to pay commissions directly to the buyer’s broker. Are there other costs a buyer should account for when purchasing a property? While there is generally not an out of pocket cost in Austin for a buyer to hire a broker, there are a few costs that buyers should plan for when purchasing a property. A phase 1 is an environmental report on the property. This is generally paid for by the buyer. The cost for a phase 1 in Austin generally runs between $1,850 and $2,500, though it can be more than that if you are purchasing an excessively poor site. If you are getting a loan to purchase a property your bank may require you to get an appraisal. Appraisals costs are generally the responsibility of the buyer. In Austin, an appraisal generally starts at around $2,500 and can go up from there depending on the size of the property. Most buyers will want a survey of the property if a current one doesn’t already exist. Survey costs depend on the size of the land and improvements. The typical price in Austin for a survey for a 5-acre parcel with improvements would be between $5,000 and $6,500. Many times, this is paid for by the buyer, though a reimbursement for part of this cost can generally be obtained at closing from the seller. If you are getting a new loan to purchase your property you may have to pay a loan origination fee. This fee is generally ½ to 1% of the loan amount. There may be other lender fees as well, which are dependent on the size and terms of the loan. Unless you are an experienced real estate professional, it’s always a good idea to get a professional broker involved when purchasing or selling improved property or land. An experienced investment sales broker can help you navigate the purchase or sale process, while providing valuable insight into the local real estate market. To learn more about investing in property in Austin, Texas, see our helpful powerpoint presentation, Commercial Real Estate Investing 101 or schedule a consultation with one of our experienced Austin investment sales brokers. Local vs. National Commercial Real Estate Firms: Which is Better? Joe is a true renaissance man of commercial real estate. 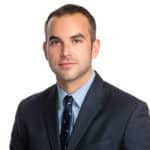 While he specializes in investment sales, Joe has a hand in all aspects of the industry from project leasing to development and tenant representation.